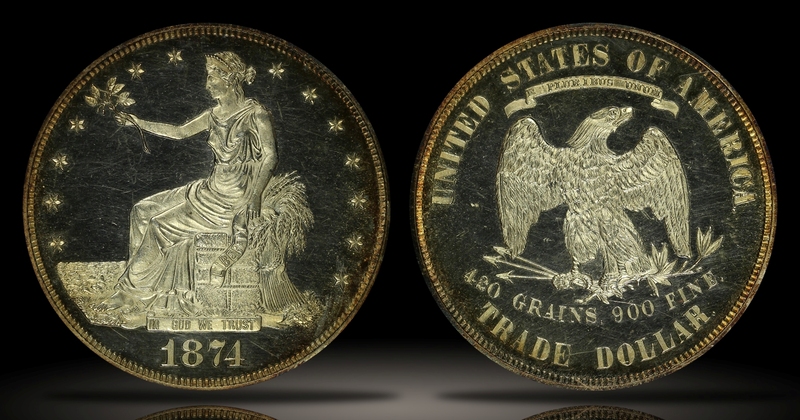 With a total mintage of only 700, the 1874 Proof Trade Silver Dollar is a fairly rare coin in all grades. The rarity is exponentially greater when you can find an example with a deep cameo designation. 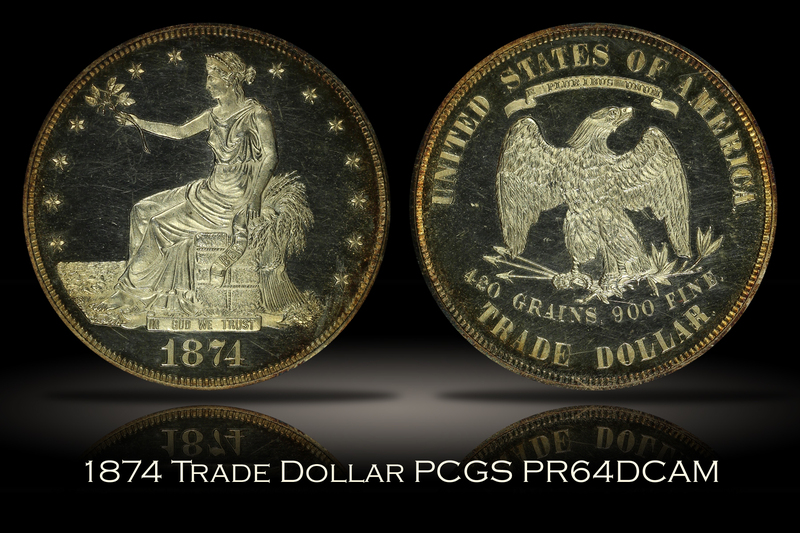 This 1874 Proof Trade Dollar has been graded PR64DCAM by PCGS. 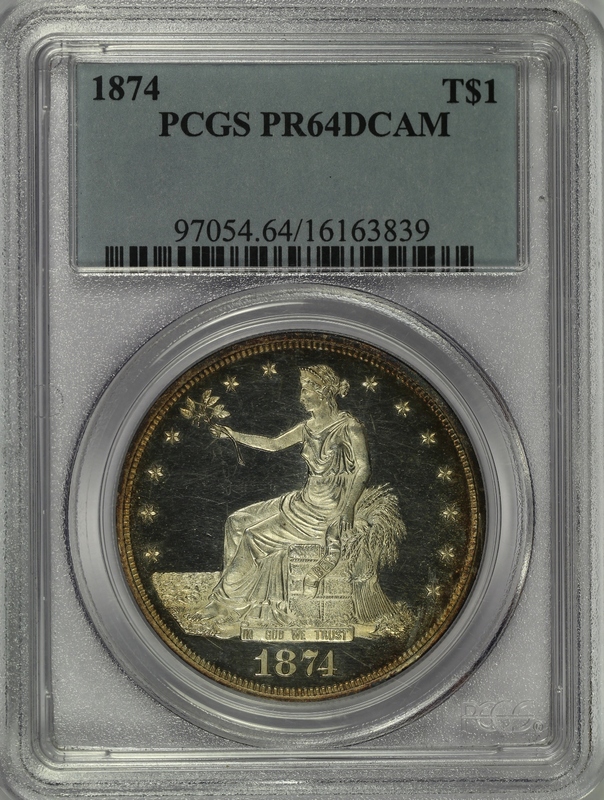 Only six (6) examples have been certified at the PR64DCAM grade by PCGS with just three (3) coins grading higher, all of which are PR65DCAM. 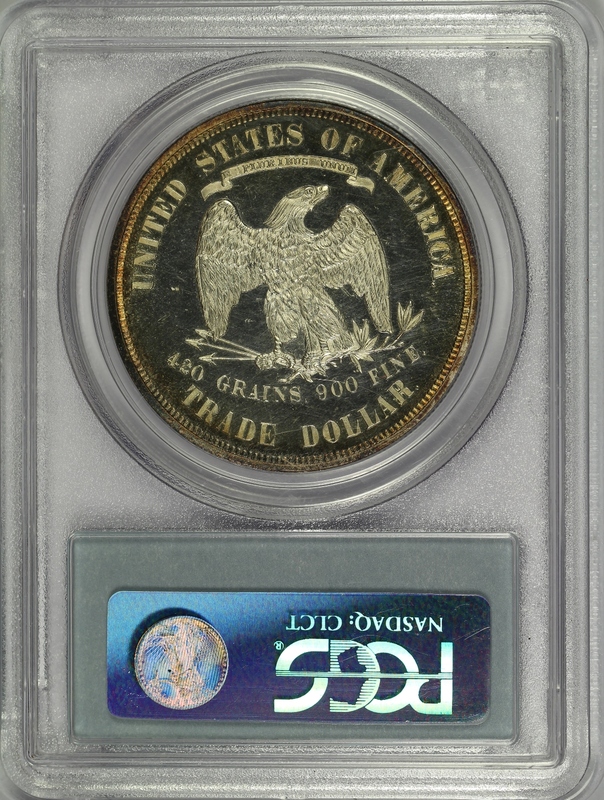 The coin is mostly untoned except for an attractive bit of golden rim toning along the rim on each side. The mirror fields are very deep and the devices are extremely frosty. 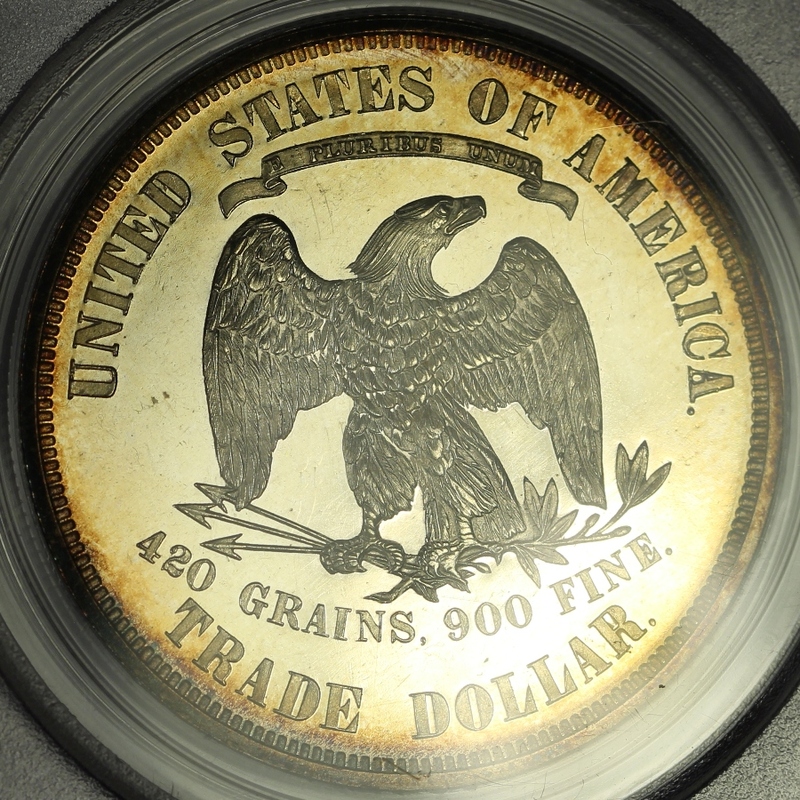 There are some light hairlines in the mirrored fields, including some slightly stronger lines near the rim near the last star on the obverse which seems to be the only limiting factor on the numerical grade. 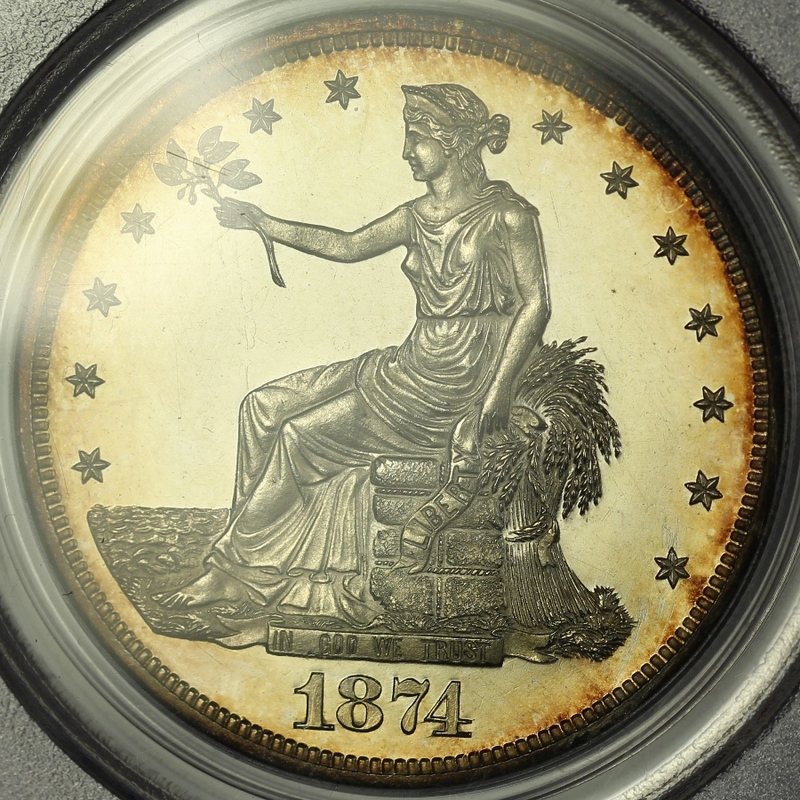 An amazing deep cameo proof Trade Dollar.